We were extremely pleased to see that some institutes in the UK were keen to take up the offer of our complete HVAC & BMS Controls course. This offer includes all presentations, assessment guides, hardware and software, with ongoing support and customisation to ensure the course meets the needs of the individual training organisations. This is all FREE and it is pleasing to hear feedback about the student’s excitement from trainers who have run the course previously. The details of the UK institutes that are now running the course can be found on our HVAC and BMS Controls Training page. 'Train the Trainer' hands on practical session. L-R: Graham Gunn (Teacher at Uxbridge College), Kevin Taylor (Innotech Controls UK), Walter Colaiaco (Innotech Systems Trainer), Sanjay Suri (Commercial Manager Uxbridge College), Ross McLeod (Great British Construction Training). 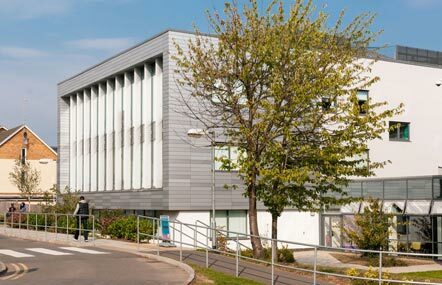 The 'Train the Trainer' sessions were held over 3 days at Uxbridge College, just outside London. We were made to feel extremely welcome. The facility is certainly 1st rate and the range of programs run at the College is exceptional. The trainers are extremely proactive and take a lot of care in what they deliver, and how it is delivered. There were quite a few modifications made by Walter to suit their target audience, and we are certain Uxbridge College will get good use out of the program. 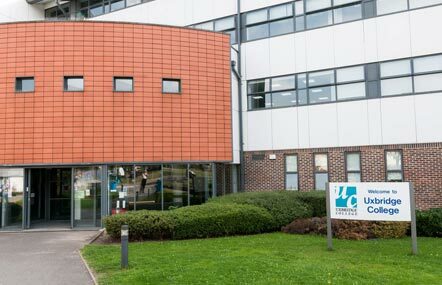 It was a pleasure to be involved with Uxbridge College and we look forward to providing future programs to compliment the initial HVAC and BMS controls course. Learn more about HVAC and BMS Controls training at Uxbridge College. GBCT are quite unique as they specialise in converting a tradespersons existing qualifications into the required qualifications for other countries. With contacts in the UK, New Zealand and Australia they will not just convert qualifications, but assist in finding work and getting Visas between these countries. Whilst visiting their premises, there were approximately 12 electricians undertaking their electrical qualification conversions. GB Construction Training see our HVAC & BMS Controls course as a fantastic value-add to their students, giving them even more experience and therefore more options when applying for work overseas. You can see the passion from the trainers at GBCT and their broad experience certainly provides a wealth of knowledge to draw on for the attendees. Learn more about HVAC and BMS Controls training at GBCT. The offer is still available for any Registered Training Organisations (RTO) who would like to provide this updated course using current HVAC and BMS technologies for their students. It was a pleasure to visit with Keith and Rob from H2O Farm near Slough, who have been a client of ICUK for a number of years. They have a unique system for growing fodder for animals, mainly used where natural fodder is not available due to climatic conditions. They can produce the feed in 7 days and are using Innotech controllers to handle the specific custom requirements of their production, including irrigation, lighting and water purification. It is always exciting to see the many diverse applications where the Innotech controllers are used. Many thanks to Keith and Rob for their hospitality and willingness to take the time to show us their process. This conference was the first we have held in Ireland, but we felt it was timely due to the quantity of work coming from the region. Our partners in Ireland have represented the Innotech brand for some time and this conference gave them the ability to have their say in the development of our new Omni Controller platform, as well as expressing their client's needs in some existing products. The feedback from the Dealers on Day 1 regarding Omni was very positive, and many ideas expressed will certainly be implemented. This has always been a strength of Innotech: We listen to our clients and ensure we develop products that meet the needs of our partners and their clients. Day 2 of the conference was spent reviewing the enhanced Building & Energy Management System (BEMS) products, like eServer (Innotech 3D web-server graphics) and ATOM (Energy Management & Reporting software). Changes have already been made to ATOM to suit the reporting and billing needs for Electrical, Water, Gas, Oil and Thermal Energy. Many of these modifications are customised to specifically suit their market, however it will further strengthen the product globally. The conference was a great success and we thank the attendees for giving their time to give us their honest feedback. We are confident that this will ensure we all continue to go from strength to strength in Ireland. This visit also gave us the opportunity to look at the UK and European markets more closely with the people who know them best. With the existing Maxim, Genesis and BACnet product ranges we have already made significant ground over the last 15 years, however they are confident that with the new Innotech Omni controller platform with both Innotech and native BACnet protocols on board in 2015, we will really be in a position of strength for these areas. The European market will be one we are focussed on as there is, and will be more, opportunities for partners available in various countries. You can contact [email protected] to express your interest in representing Innotech across a particular region. We were extremely pleased with what we saw from the Registered Training Organisations (RTO) along with the quality and variety of projects being undertaken across the UK and Ireland. These projects range from retail outlets, shopping centres, education facilities and commercial developments. The complexity varies from standard Heating, Ventilation and Air-Conditioning to complete Energy Management. I look forward to future visits in 2015, it was great to meet you all.